To be a regional leader in driving collaboration and strategy within our communities on issues that are critical to the economic growth, quality of life and sustainability of this region. 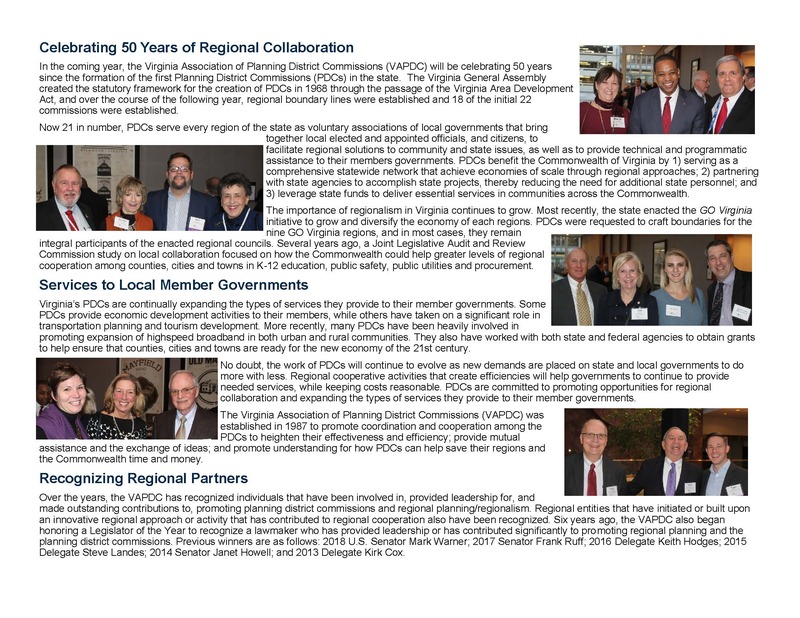 The Regional Commission helps local governments address regionally significant issues with planning designed to enhance our region’s infrastructure, promote our region’s economic growth, and improve and sustain our region’s quality of life. 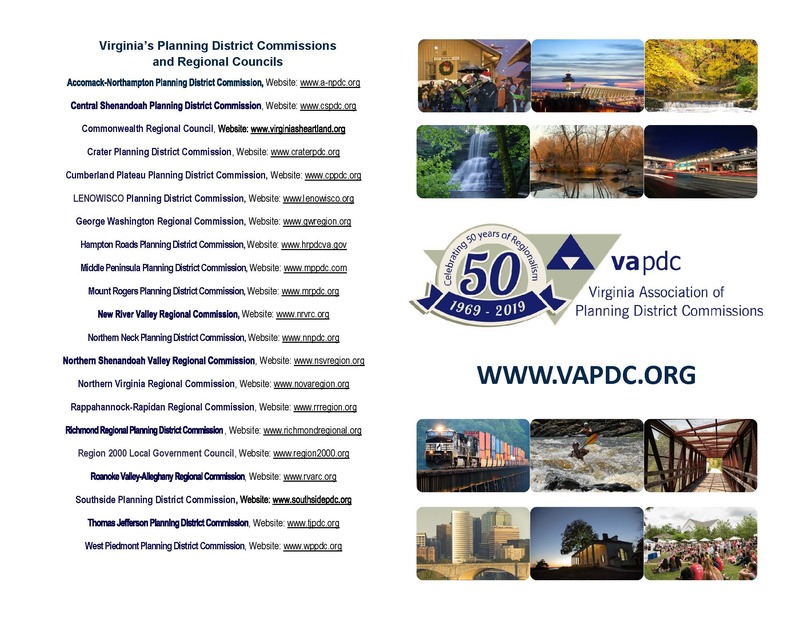 The Regional Commission provides long-range transportation planning for the Roanoke Valley and rural localities within our region. Regionally coordinated approaches to planning and developing our region’s transportation infrastructure is central to the mobility of our citizens and supporting businesses that rely on logistics and supply chain management. Monthly meeting of the Roanoke Valley Transportation Planning Organization (TPO) Policy Board. Monthly board meeting of the Roanoke Valley-Alleghany Regional Commission.